The end is nigh: as of Tuesday, January 12, Microsoft will issue its final support patch for versions 8, 9, and 10 of its Internet Explorer browser, bringing one of the web’s clunkiest tools one step closer to vanishing. The Verge reports that the final security update will deliver the last few bug fixes the browser is going to get, as well as an “end of life” notification telling users to go upgrade to Microsoft Edge already. The move isn’t really a surprise; all three of the doomed versions of Internet Explorer have been living on borrowed time since 2014, when Microsoft announced its intention to stop support eventually. 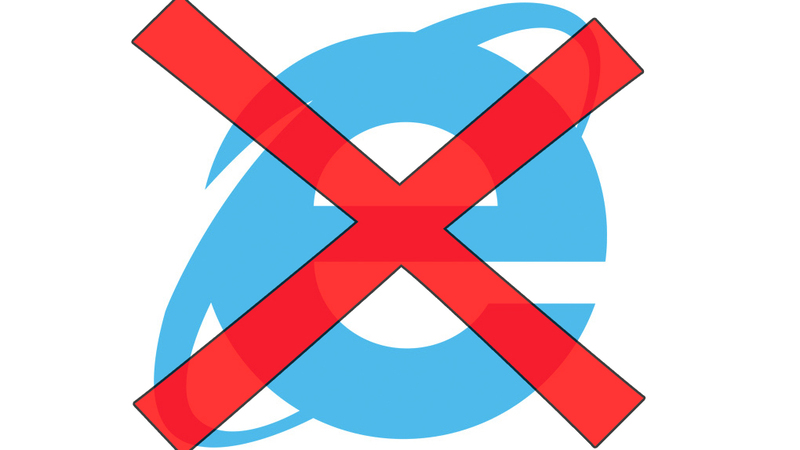 Still, anyone who was stuck using old, unpatched versions of Internet Explorer for years at work, or who ever once came face-to-face with a browser made unusable by toolbar add-ons at their parents’ or grandparents’ house, will likely not lament the end of this era. But of course, the end of support does not actually mean the end of use. Millions of users — maybe as many as 340 million, by one analysis — still have IE 8, 9, or 10 running on their computers right now, and an end to patches means that software will quickly become ever-more vulnerable. Hacker-types are always pushing against software, and regular patches are software’s way of pushing back. Without those patches, security holes will be left open… and that means the number of available pathways into a machine using IE will increase rapidly, much in the same way computers running Windows XP have been left out in the cold since 2014. So if you or someone you know is still relying on an outdated version of Microsoft’s web browser, now would be a really good time to go change that.